Professional catalogs are an important part of your marketing mix for many reasons. They can win over new customers, motivate purchases, and increase your brand recognition. Unfortunately, they can also be time consuming and expensive! Wouldn’t it be great if there were a way to easily design your own cover, add your top products, and send your catalog directly to the printer all in one program? We thought so too, which is why we created the SAGE Print Studio. 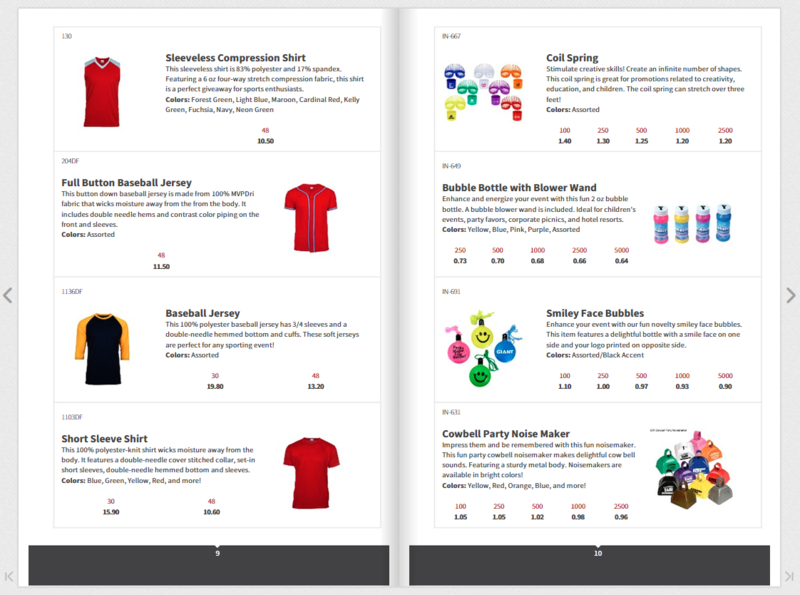 Our goal is to make it fast and easy for you to create your own custom catalogs. That way, you can get back to the business of your business. 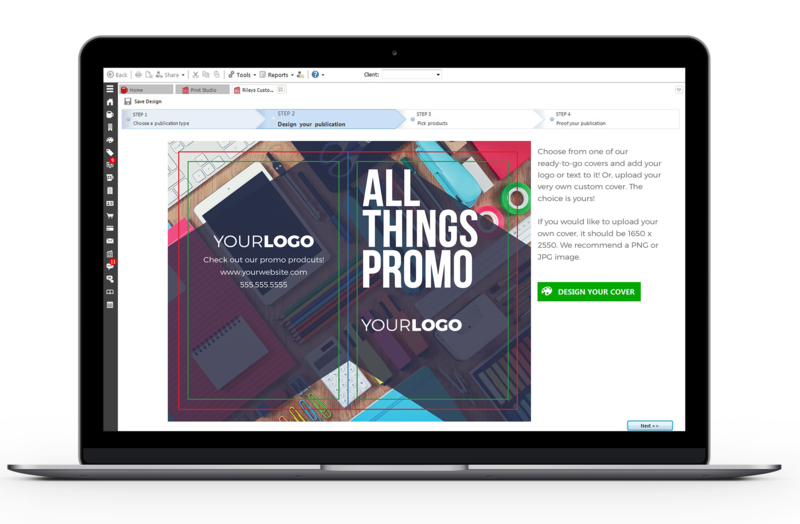 Here are our top ideas for how to use the SAGE Print Studio to help with your marketing efforts and win more business. Don’t just leave your business card behind if you’re trying to win over new clients! Leaving a professional catalog filled with your top products will make a statement. You can also bring them along to networking events and really showcase what you can offer. The ability to customize not just the front and back covers, but also every single page of products inside, means you can specially tailor your catalogs to different industries so every client can find exactly what they need. It’s easy to create your catalog to fit a certain theme with our professionally designed templates. All you have to do is upload your logo right to the cover and choose your products from the SAGE database. No graphic design skills required! Once your custom catalog or flyer is designed you can start sending it out right away as a virtual catalog. We call these SAGE Flip Catalogs, and they are online versions of your print catalogs. These are available immediately with no purchase necessary, so you don’t have to wait to send them out to prospective clients on your email list. Virtual catalogs put your brand in front of people where they spend most of their time — their inbox — which helps you reach even more people than with your print catalog alone. Your customers can even download these online catalogs as a PDF! You’ve worked hard to win the client over, get their order, and have it fulfilled in a timely manner, but don’t just wait by the phone for them to call and place another order! 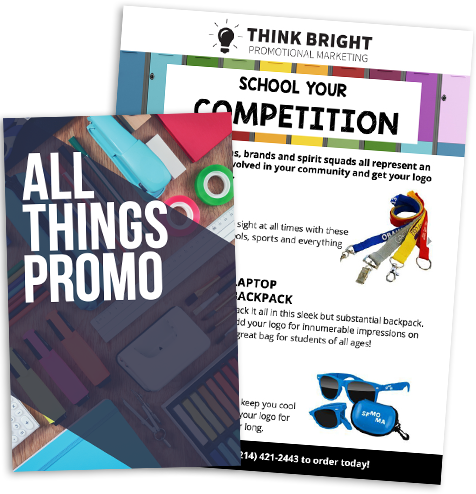 You can include a custom catalog or flyer with their order to remind them of all the trendy, timely possibilities for their marketing mix. They might see the perfect product they never thought to ask for, or maybe they just got handed a project that requires backpacks. They will open your catalog and voila! There is the product they’ve been waiting for! Design custom flyers to fit any theme and compliment your marketing campaigns. Just upload your artwork and contact information, then choose any products from the SAGE database. Include a single featured product or up to 24 products so everyone can find something they like! Having a catalog with your custom cover on it makes a great impression but if you don’t have the time to pick the products and edit the layout yourself we have an even easier way! 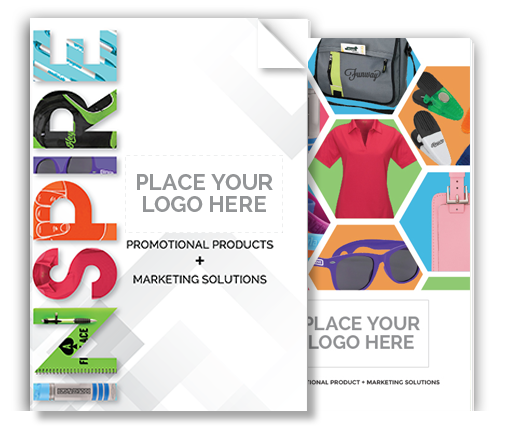 Just add your cover to our pre-designed Inspire Catalogs that come pre-filled with hundreds of popular promotional products to take out all the guesswork. You can learn all the ins and outs of the brand-new SAGE Print Studio and start designing your very own catalogs and flyers here! Not yet a SAGE Total Access subscriber? Try it free for 30 days and receive access to the Print Studio in SAGE Online!